Brother faces brother in this fantasy adventure of a tyrannical Sidhe empress and the heirs of the fallen Elflord. Twenty years have passed since the Elflord, Hawk, fell at the hands of the Sidhe empress and her human army. His sons have grown in secret, beyond her reach, on the outskirts of what was once their father’s land. But as they reach adulthood, the sons, Dawn and Dusk, opposites in temperament, handle the oppression of their people differently. While Dawn seeks to remain hidden from the empress’s gaze, tempestuous Dusk harries her forces. When they become targets of a manhunt meant to bring them to the feet of the empress, Dusk turns to an old ally of his father to take up his father’s mantle while Dawn is drawn to the temptations offered by the Sidhe court. As they grow in strength, it is only a matter of time before the two meet on opposite sides of battle—and there can be only one winner. 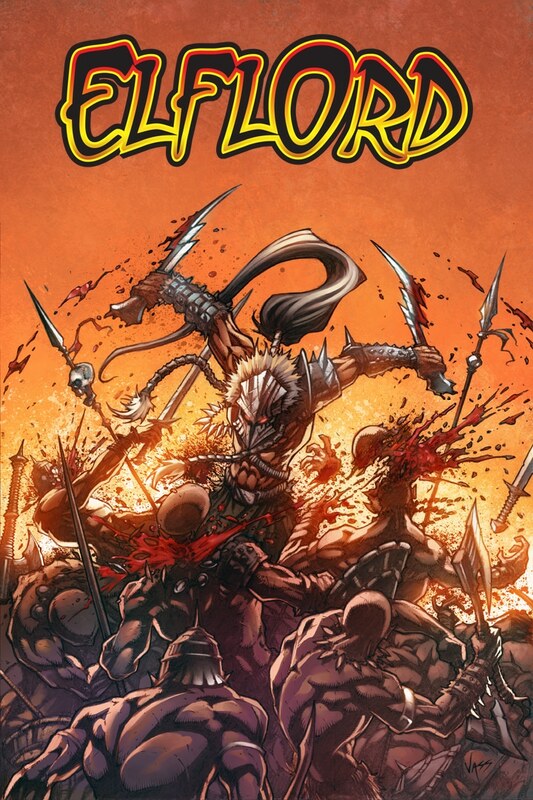 ELFLORD is a continuation of the series created by Barry Blair, brought once again to life by the talent of writer Mat Nastos, with art by Nastos and Nicolas Giacondino and colors by Paul Little. This new series of four 60-page, oversize, full color books will thrill readers of the original series, and new readers will find this an exciting launching point to enter the world.